We're showing information for 58256. Modern consumers prefer to make informed purchases. They will only give their business to companies that offer the best products, services, and buying experience. This means that competition in the North Dakota region can be intense. Business owners in Manvel, ND need quick, dependable connectivity to capture the attention and loyalty of new customers. Get a Frontier Business package to outfit your business with phone and Internet services—including Business High Speed Internet—and and never lose customers due to poor communication or support again. The job-growth rate is expected to climb to 25.34 percent in Manvel. That’s good news for job seekers, but it puts extra pressure on The Peace Garden State businesses, as it means that on top of vying for customers, you now have to compete for the best employees. Frontier’s services for small businesses give you the tools you need to help you do it all. You can keep a direct connection with your customers through Texting and other innovative features that help you promote your business. 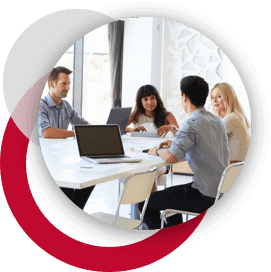 Support your team and keep them on track with Conferencing. Plus, Managed IT keeps you connected and keeps your data secure. On top of all these great features, you’ll also be able to establish a stronger online presence, so that you can reach prospective and current customers and recruit employees, thanks to Frontier’s Web Development and Hosting. There are many challenges facing companies in North Dakota, especially as they move to the next phase of growth. Frontier’s enterprise solutions can help you combat those challenges and successfully reach your goals. That means you can maintain consistency while you continue to grow and establish permanence for your company. Your changing connectivity demands will be covered with scalable Ethernet (Local Area Network and Virtual Private Line). This system addresses the evolving requirements of connectivity and your growing bandwidth needs. And you’ll also have all the benefits that come with our IP Virtual Private Network, such as access to online data over a secure IP connection. However, in an area like Manvel, scalability isn’t the only thing a business needs. 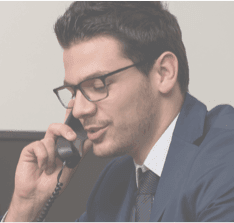 Connection is always important, which is why Frontier Communications provides dependable phone lines to keep you in contact with your customers, wherever they are. With state of the art phones and advanced features, you’ll have the ability to connect with customers throughout The Peace Garden State. These features and more can be yours when you choose Centrex from Frontier. If that’s not enough, then consider that you won’t have to worry about updating equipment, hosting, monitoring, or even network design—because Frontier makes all these services available directly to you. And Frontier’s Hosted VoIP solutions give you access to Voicemail, Caller ID, unlimited nationwide calling and advanced technologies like voice-to-email integration. Regardless of your industry (Hospitality, Retail, Health Care, Finance, Education etc. ), customers living in Manvel, ND are all looking for one thing: to make faster connections with businesses and organizations they can trust. Future clients should be able to contact your business over the phone, online, and in person?and if you make those interactions easy and productive, those clients are more likely to become loyal customers whose business you can count on. By choosing Frontier in your area, you get dependable customer service and advanced infrastructure and equipment. Plus, Frontier's services are customized to fit your industry, so you'll be a step ahead of the competition. In 2013, there were 0 cybercrimes reported in North Dakota. How can you keep your North Dakota business safe? Invest in services from Frontier Secure, such as malware and virus protection, cloud backup, and high-quality tech support. Frontier can protect your business online, but that isn’t all. Customers also have access to equipment replacement programs so your physical assets are never at risk. Want a faster Internet connection? Turn to Frontier. Frontier offers speeds up to in North Dakota, meaning that your business can handle all of its online tasks in almost no time at all. You’ll get lightning-fast access to the tools you need to do your job. With a fast Internet connection, you’ll be able to quickly access online data, spend more time communicating with clients, and grow your business efficiently.